Baby Led Weaning. If you haven’t heard of it, think of baby led weaning as your baby eating “adult” foods, right away. You’re never pureeing food, freezing baby food, buying baby food, bringing baby food along – you get the idea. Your baby is eating REAL food. The same food that’s on your plate! And babies can do it really well believe it or not – even without teeth. Let me repeat that again – your baby never eats baby food. And it’s amazing. Watching our baby eat is one of our very favorite things. We often have to stop ourselves from staring so he’ll actually eat, rather than laugh at us looking at him! A great baby led weaning book is the key to knowing what you’re doing. You want to comfortable with baby led weaning and know the best way to give your little one solids. book is my absolute favorite! 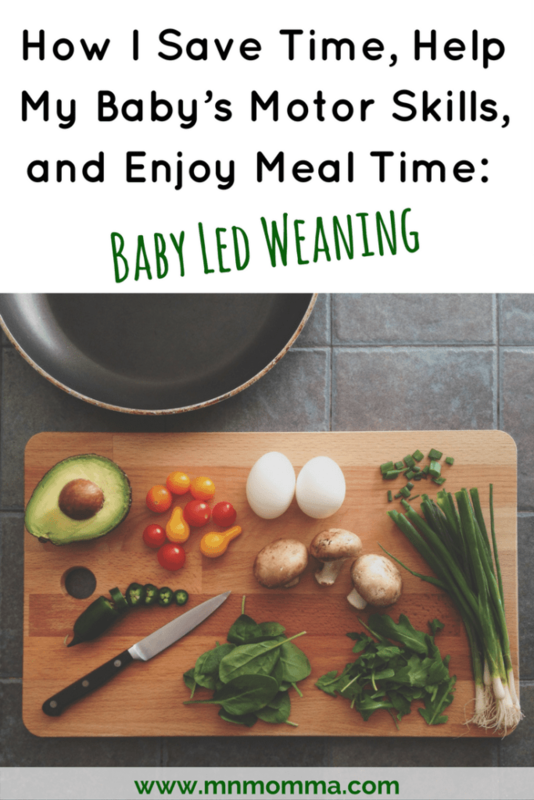 It provides a great overview of baby led weaning and I highly recommend it to anyone considering starting solids this way. The book includes all the steps to starting baby led weaning, parents’ experiences, a great Q&A section, and much more! More than 3 months into baby led weaning, I still find myself reaching for this book as an easy, quick resource. Many babies are ready for baby led weaning at about 6 months, when they can sit on their own and are showing some interest in eating. When starting baby led weaning, it’s best to serve fruits and vegetables that are large enough for your little one to be able to pick up. I typically cut foods approximately the size of my finger so O has part of the food he can hold on to and the other part he can put in his mouth. Great starter foods for baby led weaning are those that are easy for your baby to grasp. Usually these include: avocado, banana, sweet potato, and broccoli. While baby led weaning can be so much fun, there are a few rules and foods you should avoid. Be sure that you avoid honey, until after your little one is 1 or older. Other baby led weaning foods that you should avoid include sugary foods/treats, and salt. *If your family has a history of food allergies or you have specific concerns, be sure to talk with your doctor before starting baby led weaning. Now here’s some of the big reasons we love baby led weaning and you should too! Save time! No pureeing food, freezing baby food, or bringing baby food along when you leave the house. Also, if you’ve ever spoon fed your baby, it can take a while! With BLW, you can give your baby her food and then eat yours right along with her. Save money! Goodbye baby food jars and purees! As long as you have a healthy diet, your baby can eat the same thing as you. Fine motor skills – especially, the pincer grasp. With each meal, your baby becomes better and better at picking up his food. We noticed at about 7 months that O was starting to use the pincer grasp, a skill typically developed at 9 months! There’s no transitioning from baby food textures and tastes to the real deal – your baby already knows and loves real food. Your baby can eat restaurant food. You heard that right – find some healthy meal items and you’re good to go (tomatoes, broccoli, sweet potato fries). You’ll be healthier too! You’ll start to read labels a little closer. Be sure to avoid salt and sugary foods when you cook a family meal. If you need to, you can always add salt to your own plate after the meal is made. Family suppers. Eating meals together as a family is proven to have a great impact on families, now your little one gets to join in on the fun and learn the routine! It makes a mess. To me, this seemed like a very small price to pay for the benefits. Your baby will definitely be making a mess of themselves, their high chair, and the floor – at least for a little while. Check out my post here for ways to make clean up easier! 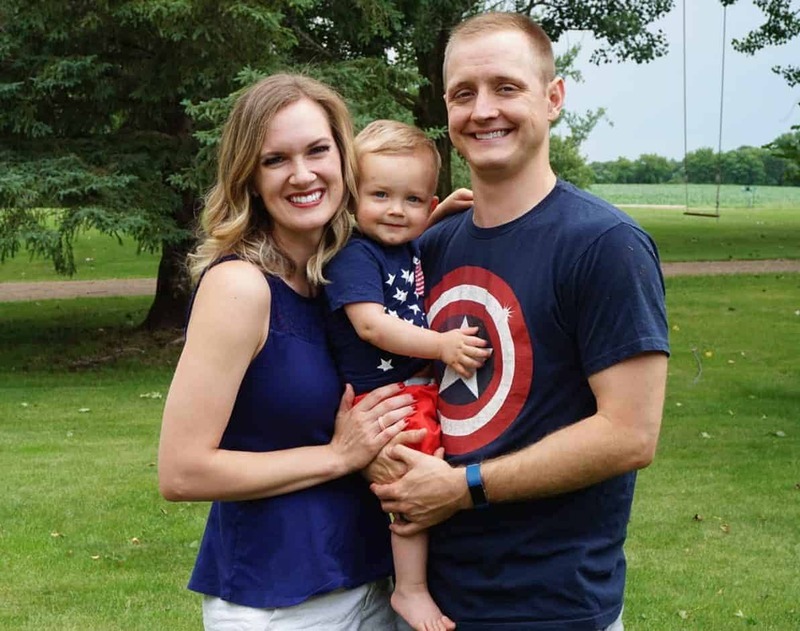 For safety reasons, always make sure your baby is seated while eating, that your baby is developmentally ready, and that you are in the room with your little one. Choking is often a big worry when people think of a baby eating solid food. It’s important to keep in mind the difference between choking and gagging. The truth is that a baby’s gag reflex is closer to the front of his mouth when he is younger, so he may gag often when first starting baby led weaning. Let your little one work the food out on his own if he is gagging, by intervening and placing your fingers in his mouth you can increase his chance of actually choking. Your little one is figuring out how to chew and swallow and you should do your best not to interfere. However, if you believe your baby is choking, make sure you intervene immediately. CPR Kids TV provides a great free video here on first aid for a choking baby or child. 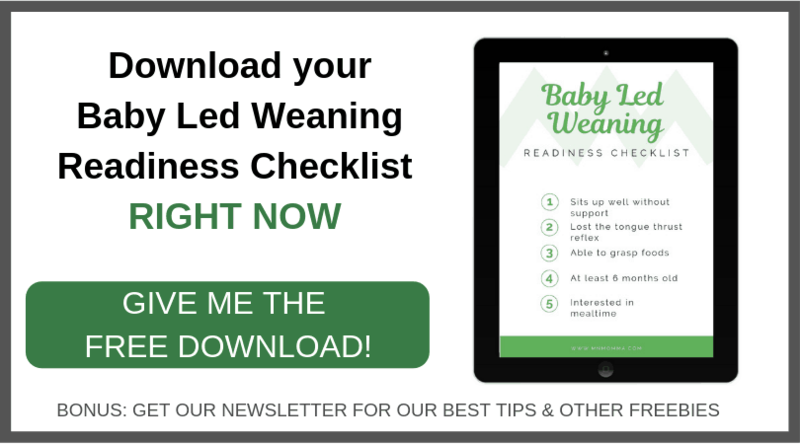 Bonus Item: Grab the Baby Led Weaning Quick Guide for $5 today! I love how easy to follow this affordable guide is! The Baby Led Weaning Guide will help you through the first few months of starting solids with your little one. You’ll find an easy to follow plan for new foods to try and instructions on how to prepare meals. 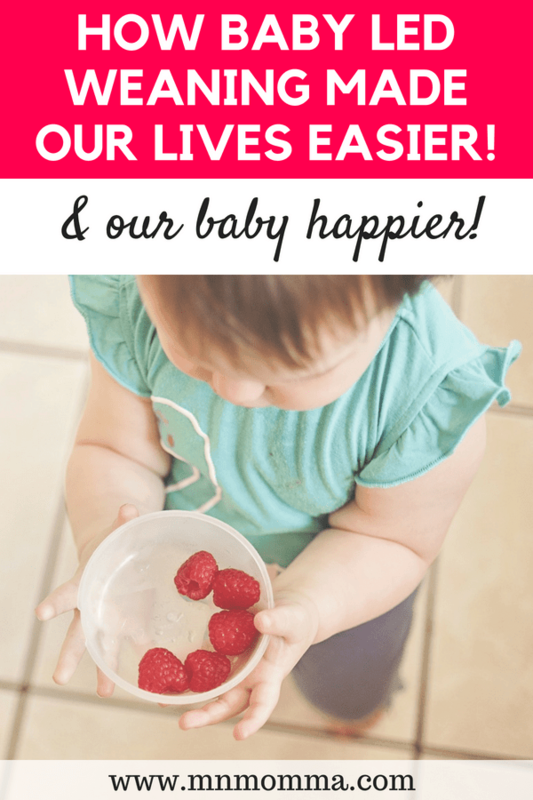 It’s a great supplement to the other baby led weaning food resources!